Several sites (e.g., Biscuit Crumbs and Rays Index) are reporting that the Rays have acquired a left-handed reliever from the Rangers and are sending him to Durham. 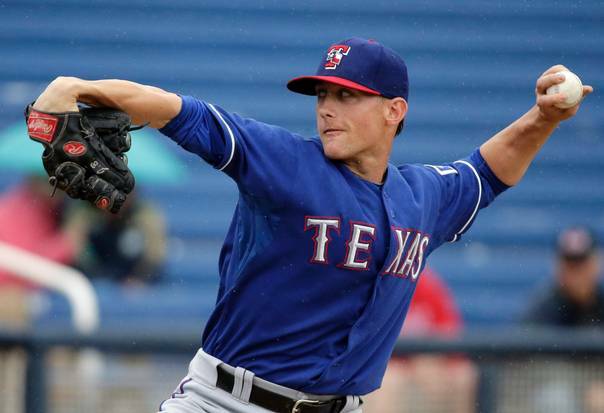 Jeff Beliveau (stats) came up through the Cubs system and has made one two-inning appearance at Round Rock this year. I think, but could be wrong, that as long as Mike Montgomery stays on the DL the Bulls will not have to make a roster move. Beliveau goes on the Tampa Bay 40-man in Jeff Niemann’s spot. He will be joining the other recent refugee for Round Rock, Juan Apodaca and several Bulls who came up through the Cubs system. I have the Bulls roster at 26, one over. Montgomery still on the DL but they added Apodaca. Guessing but would think one of the LH relievers would go, FDLS or Liberatore. But who knows, could be other injuries, or should I say "injuries". You're right. Miscounted. My guess is that Albernaz will probably go off to Hudson Valley rather than lose a reliever. Until today, however, FLDS has had his problems and a couple of others have been unimpressive. But it's so early it's hard to tell.